Home / Restaurant Equipment / Commercial Ice Machines / Undercounter Ice Machines / Hoshizaki KM-151BAH Crescent Cube Ice Maker w/ Storage Bin, Air-Cooled, 23.75" W,146 lb. Hoshizaki KM-151BAH Crescent Cube Ice Maker w/ Storage Bin, Air-Cooled, 23.75" W,146 lb. 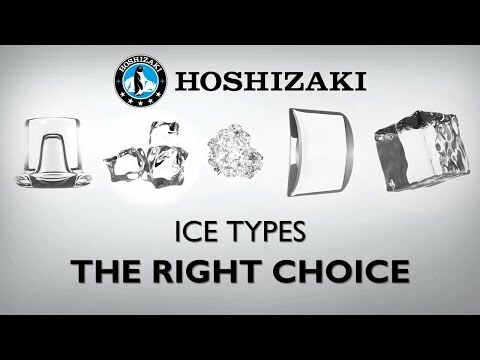 The Hoshizaki KM-151BAH Crescent Cube Ice Maker is capable of producing approximately 146 pounds of crescent cubed ice and has a built-in ice storage capacity up to 78 pounds. This undercounter unit is deal for small bars, hotel lobbies and office break rooms. It features the CycleSaver design and includes the EverCheck alert system, making the unit simple to maintain. The ice maker has a slide in door with a durable stainless steel exterior. This unit is equipped with a removable air filter and its power switch is accessible without panel removal.